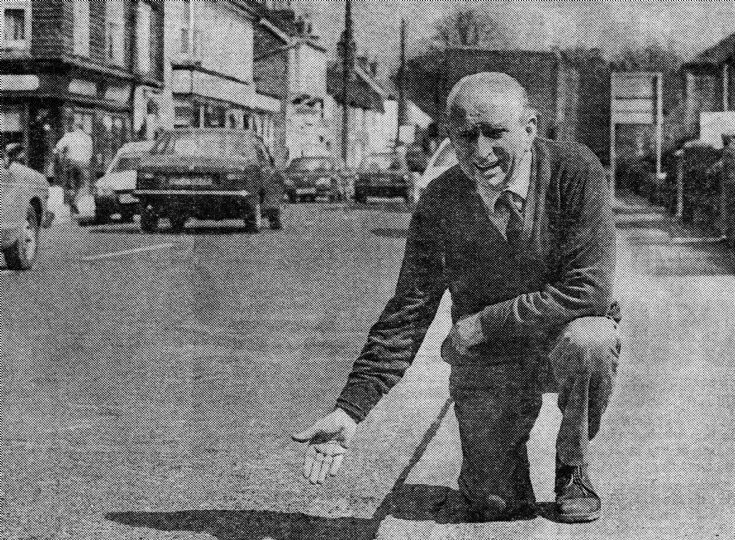 Eventually common sense prevailed (see picture #1398) and the yellow lines in Handcross High Street were removed and relative peace was returned to the village. The date is April 1989 and Roger Ray announced that he would stand down as Chairman of the Slaugham Parish Council in May, but continue to serve as a parish councillor. The Large Version shows the accompanying newspaper article. Meanwhile, his wife, Nora Ray, decided to record the saga of the yellow lines in verse. Select Open Document to read the poem.